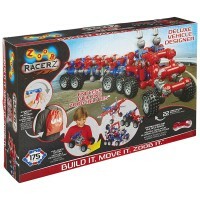 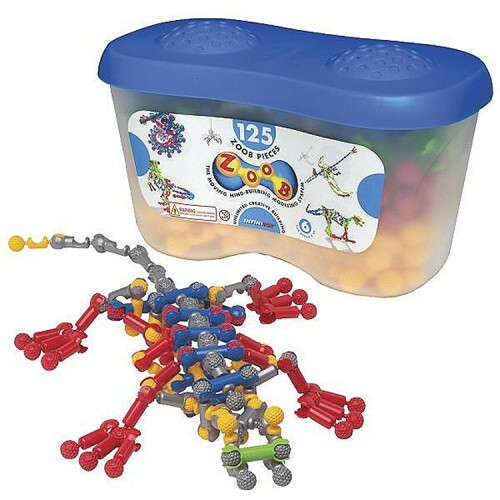 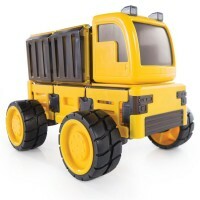 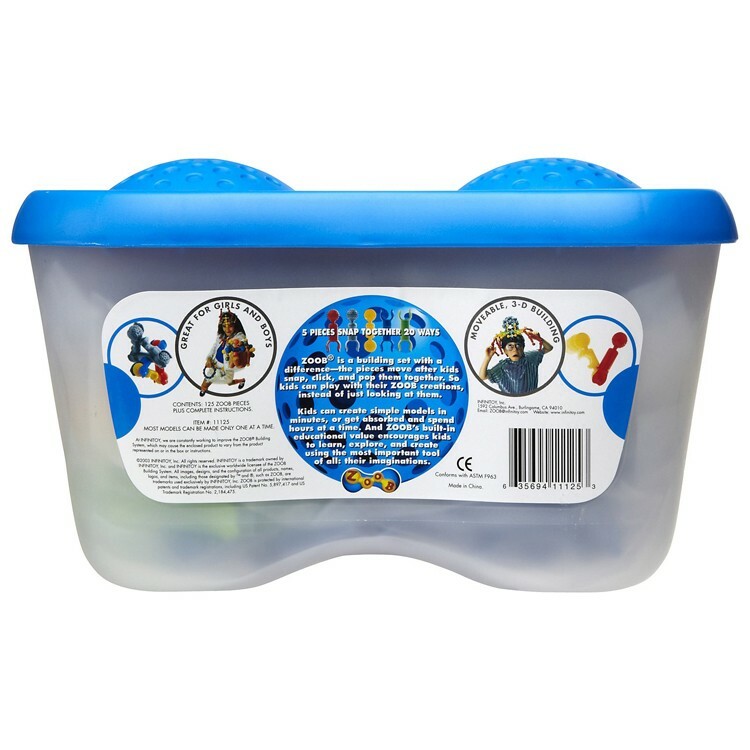 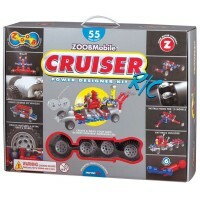 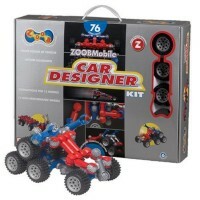 This 125 pc Zoob construction toy in a neat storage tub lets boys and girls build more than 35 moving models. Build endless colorful models with easy-to-connect Zoob pieces! 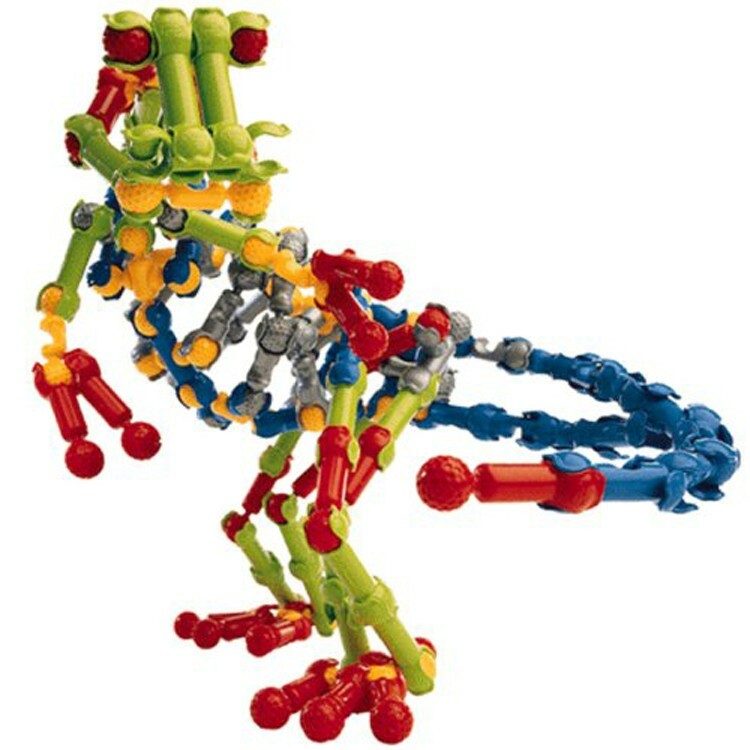 ZOOB building system brings signature parts that easily snap together and allow the finished models move, bend and flex any way the children want to use them or play with the creations. 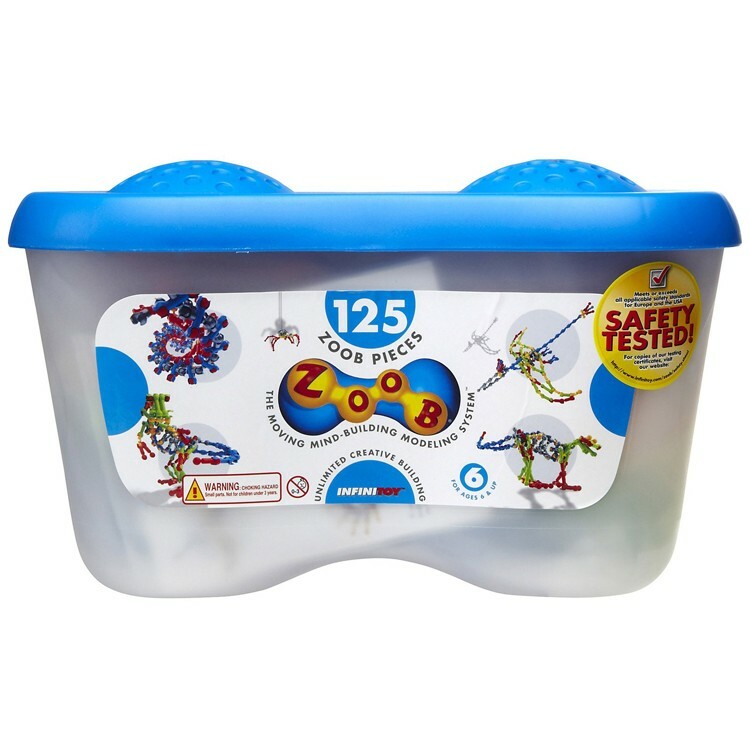 Zoob 125 pc Moving Building Set in a Storage Tub is a super cool open-ended construction kit with lifetime warranty parts. 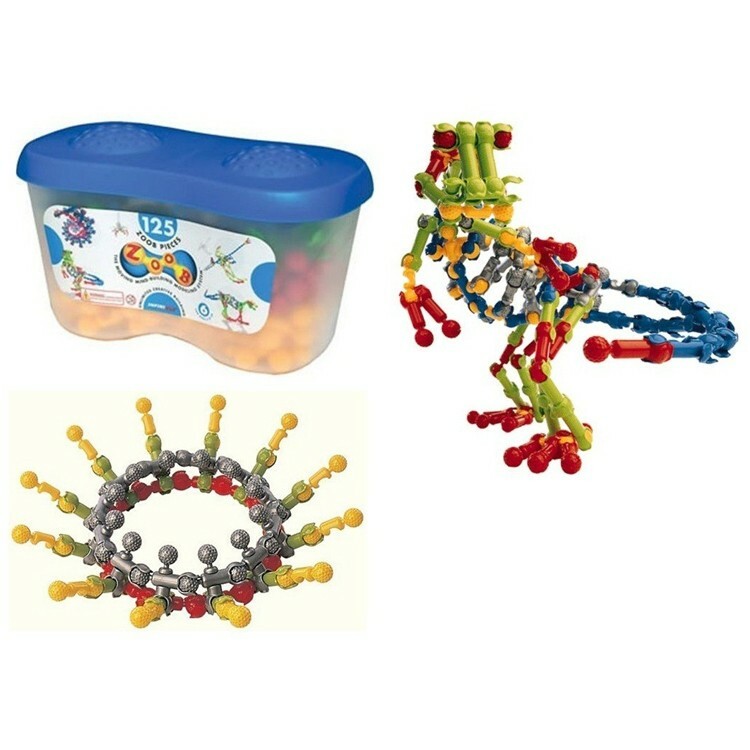 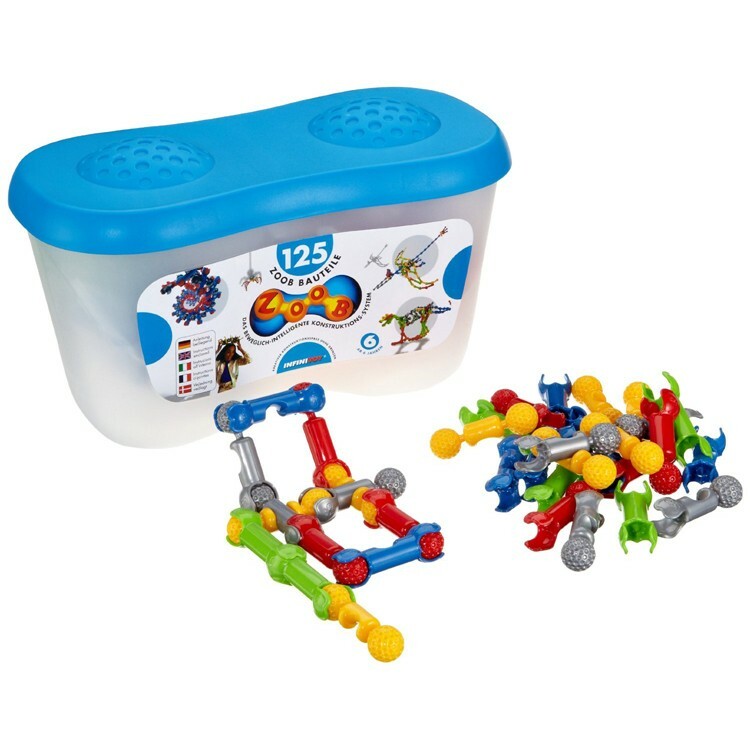 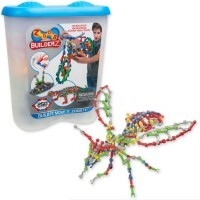 This neatly packed in a durable storage tub Zoob building set is a great gift for your creative child or a must-have addition to your classroom modelling toys. 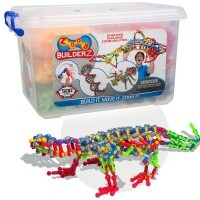 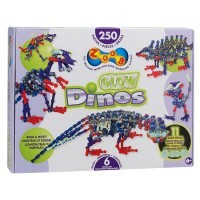 This deluxe building set includes 125 unique colorful pieces, 5 instruction guides to build more than 35 creations including DNA spiral, crown, pteranodon, T-Rex, iguanodon, marry-go-round, and much more. 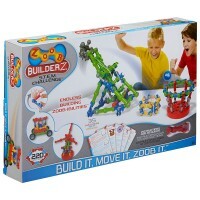 Great for boys and girls, this large building set is compatible with other Zoob construction kits from Educational Toys Planet. 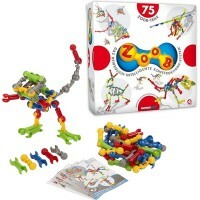 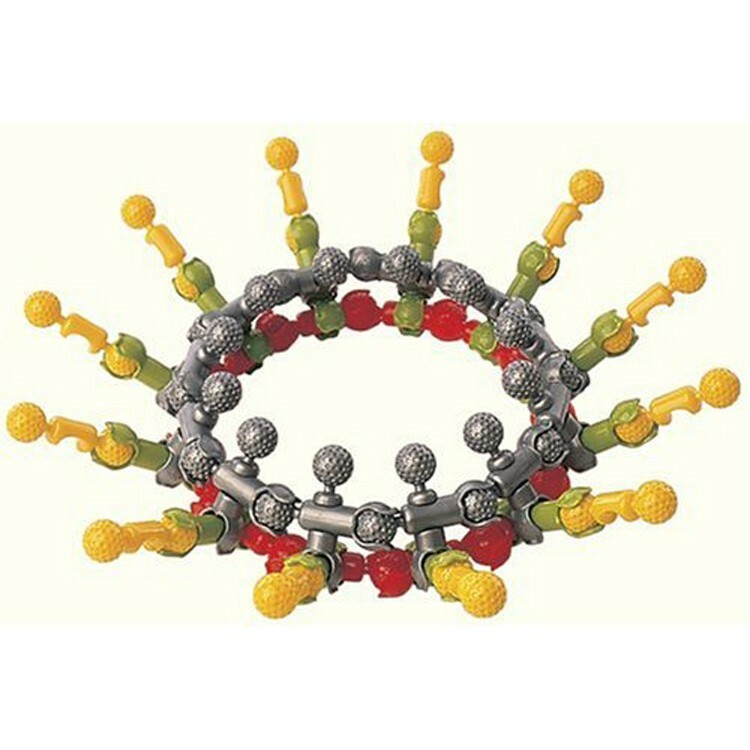 Put your imagination at work and create whimsical versatile structures with this modelling set by Zoob! 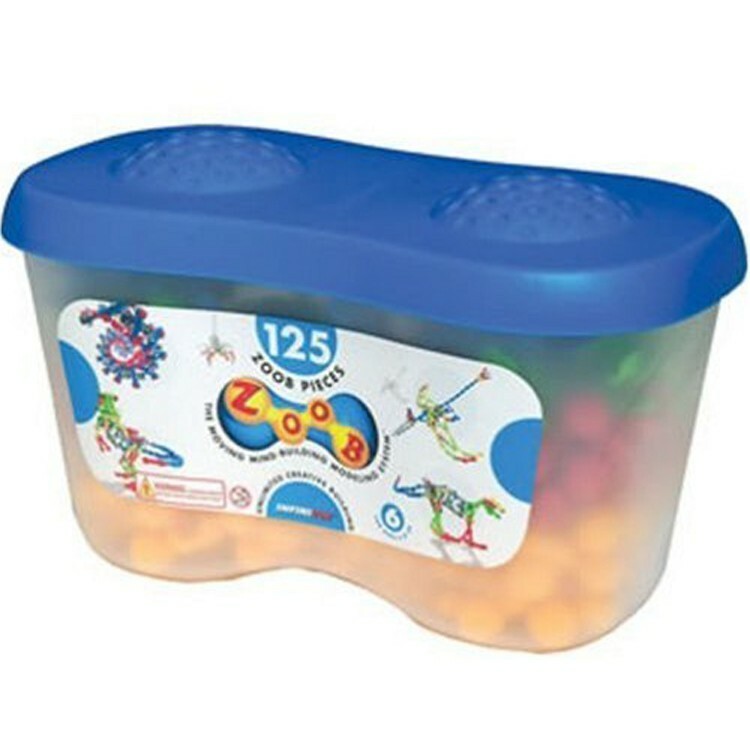 Write your own review of Zoob 125 pc Moving Building Set in a Storage Tub.